As we are speeding forth to the Hebraic New Year 5779, starting on September 9th (09/09/2018) at sundown, there is a load of prophetic significance to be understood in order to tap into all the hidden treasures of God’s wisdom. 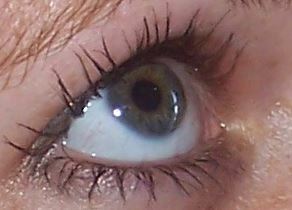 “Ayin” signifies an eye…or insight or seeing or perceiving with God’s perspective. It is a word for God’s revelation by the Spirit of wisdom and understanding to “see”. Some writers describe it as “fountain”…as in a fountain of wisdom. We will also look into the symbolic meaning of the number 9 and the Hebrew Word Talet. It is a most exciting time to tap into the way God sees. No wonder that the “seer”-anointing is increasing – especially in those that are seeking the Lord’s perspective. In the process our minds have to be renewed from darkness to light – to focus on the Lord to have the mind of Christ by what He reveals in the secret place of intimacy. In the following 21 days until Rosh Hosanna (Hebraic New Year), we are going to focus on the renewal of our minds to access that which God has laid up for us in the realm of prophetic revelation. Saying “Amen” to God’s destiny for your life as you receive understanding of it. To access the 21-day Preparation for the Year 5779, click here to subscribe. You will receive a short video with a teaching every day. Currently there is much emphasis on the eye and the visionary aspects in the prophetic stream and I have been led to discuss various kinds of visions and dreams in the following weeks. 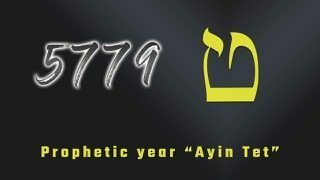 The year 2014 is numerically the year 5774 in the Hebrew calendar, known as Ayin Dalet. Ayin refers to vision and Dalet to an open door. (see previous post on April 10). Since the beginning of this Hebraic Year there is a definite increase in visionary experiences, because we are in a time frame in which God wants to take us into higher realms of revelation and visitation. Most of us have had a moment where we said, “Oh now I see what you are saying”. It is like the light that comes on in a dark room, so the light of revelation will lit up your candle on the inside and understanding will come on a spiritual truth and you will receive insight on something that you couldn’t understand before. That is an apokalupsis-type experience. When you pray in the Spirit while you read your Bible, this will happen regularly. Get yourself a new journal and start writing down what God is showing you and mark it as a dream, vision or revelation. You will stand surprised at how He “talks” to you. Before you go to bed, ask the Lord to speak to you in your dreams. It is for everyone who asks and believes that he will receive. Look at what is going on before the prophecies, dreams and visions: There is an outpouring of the Spirit. If we look at the instances in the Bible when prophets had visions and visitations, it is coupled with “being in the spirit” (like the Apostle John on Patmos) or in solitude (Moses and the burning bush) or in prayer (Daniel). Therefore, if you desire increase in this area, do likewise, praying much in the Spirit, setting yourself apart in devotion and worship.